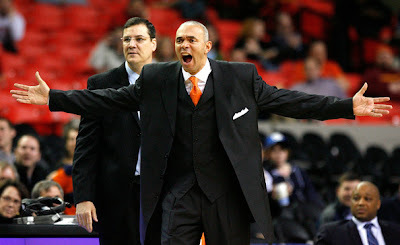 Perhaps the pro coaching ranks will be a better fit for the fiery Dave Leitao. On Wednesday, the Portland Press Herald reported that Leitao, the former Virginia men's basketball coach, was expected to be named the new coach of the Maine Red Claws of the NBA Developmental League. Since leaving UVa two seasons ago under fire, there was a feeling that Leitao would eventually return to the college game, where he was, reportedly, a candidate for a handful of jobs. But apparently the pros had more appeal to Leitao, who could not be reached for comment. According to the Press Herald, Leitao will replace Austin Ainge as the Red Claws’ coach. Ainge, the son of Boston Celtics executive Danny Ainge, was recently named the Celtics' Director of Player Personnel. The Red Claws are affiliated with the Celtics and Charlotte Bobcats. Former Red Claw players who have been called up to the NBA include Bill Walker, Avery Bradley and Sherron Collins. 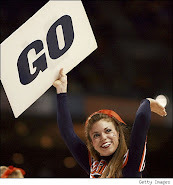 Leitao was 63-60 during his four-year tenure at Virginia. His best season came during the 2006-07 campaign when the Wahoos went 21-11 (11-5 in league) en route to a share of the ACC regular-season title. Leitao was named ACC Coach of the Year at season’s end. However, Leitao led Virginia to a 17-16 mark the next season (with a forgettable trip to the CBI) and just a 10-18 showing the following season.